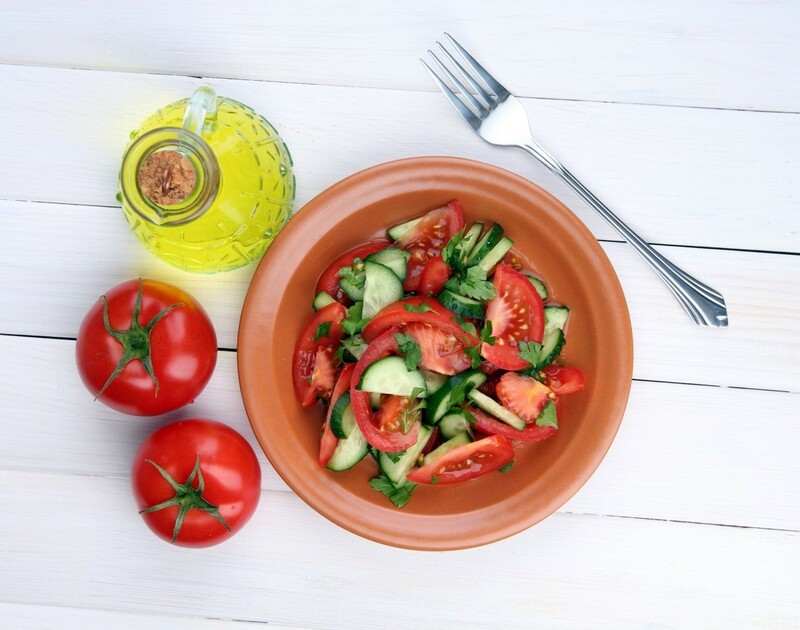 A cool tomato and cucumber salad is perfect for a hot summer day. This page contains tomato cucumber salad recipes. I started making this several years ago. It was winter time, so there was not a big variety of fresh veggies for a salad, but I did have cucumbers and cherry tomatoes, and with a young child, I always had string cheese. Quarter several fresh garden tomatoes. Peel and slice one or two or more fresh cucumbers. Peel and slice one or two good, sweet onions. Sprinkle liberally with salt and pepper and let stand at least 15 minutes to a half an hour. You want some juice leeched from the vegetables. Mix equal amounts of sour cream and mayonnaise (about 1/4 to 1/2 c each and pour over the vegetables and gently fold until coated. Refrigerate until nice and chilled. This is just about our favorite way to use tomatoes and cucumbers from our garden. I have even had the Amish ladies just beg for the recipe!